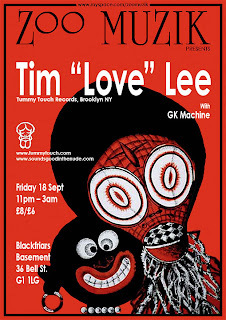 GK Machine: Zoo Muzik, Friday 18 September with TIM "LOVE" LEE!!!!! Zoo Muzik, Friday 18 September with TIM "LOVE" LEE!!!!! Tim "Love" Lee Tummy Touch special!!!! !